Places to stay in St. Maarten/St. Martin, choose from Vacation Homes, Beach Resorts, Beachfront Villas or Condos for Rent. Contact Real Estate and Rental Property Management Companies, Private Home Owners, or Rental Managers for short term, seasonal house rentals, availability, summer rental rates or vacation rentals information. The sugar-white sand beaches are the reason most tourists come to St. Maarten, with scuba diving, sailing, deep-sea fishing, and snorkeling tours being popular attractions. 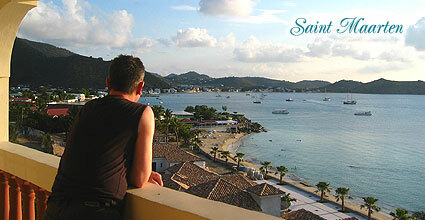 St. Maarten also offers duty free shopping and is famous for its nightlife. For more places to stay and vacation homes near the island of St. Maarten, you may want to check out Anguilla or St. Croix. Or, take a look at more Caribbean vacation travel destinations and holiday getaways.